Get-Lottery.com - Europe - EuroJackpot current jackpot: € 63. The next draw will happen on 26/04/2019. This lotto has 1 review(s). The Eurojackpot lottery was proposed in 2006, to compete with the EuroMillions lottery. By virtue of a large number of participating countries, the EuroMillions is able to offer considerably larger jackpots than those offered in a single national lottery. After seeing the success of EuroMillions, Germany, Finland, Denmark, Slovenia, Italy and the Netherlands met in Amsterdam in November 2011 to complete the negotiations for the Eurojackpot lottery and to begin the roll out in 2012. After the negotiations, Estonia also decided to participate in the lottery. The first ticket sales began on March 17, 2012 while the first ever draw took place on March 23, 2012. Spain joined the Eurojackpot from 30 June 2012 with the ticket concession granted to ONCE, the National Organization of Spanish blind people. On February 1, 2013 Croatia, Iceland, Latvia, Lithuania, Norway and Sweden came along. The Czech Republic and Hungary joined the Eurojackpot from October 10, 2014, Slovakia from October 9, 2015 and Poland from September 15, 2017. In comparison, the Eurojackpot has a wider reach of potential players with an audience in local countries of 300 million, compared to the Euromillions of 217 million. The lottery draw takes place every Friday at 21:00 local time in Helsinki. The evaluation of the winning lottery tickets is done in Germany and Denmark. Compared to other lotteries like the EuroMillions and the German Lotto 6 aus 49, the Eurojackpot is designed to pay out more frequently (1:95 million odds versus over 1:139 million for the EuroMillions and the German Lotto). As a result, it is not anticipated that the lottery will grow to the same record-breaking sizes achieved by the EuroMillions, as it will most likely be won instead. Up to January 31, 2013 the Eurojackpot lottery had a 'rolldown' clause: in case the jackpot is not won for 12 consecutive draws, the 13th draw will be subject to a rolldown whereby if no winner is able to match all 7 winning numbers, the jackpot is paid out to the next winning tier where a winner is available. 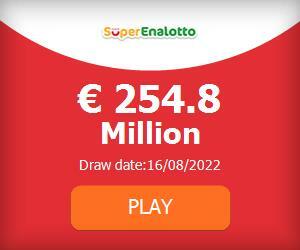 It was this clause that set the previous jackpot record of 27,545,857.50 Euros in August 2012, as a German player who correctly matched the 5 main numbers, but only one of the Euronumbers (out of two), walked away with the jackpot in the second prize tier. For the groups except the first one, the winning amounts are calculated nationally, and they can vary by country based on number of winners, lottery tax and other reasons.